We are giving away $20 value voucher for 5 lucky winners every week from 15th April to 12th May 2017! 1) Snap a photo of Tea Tree Cafe drinks. Winners will be announce on our Instagram within 3 working days after each week contest close. Verification message will through private message. Only available at Kovan Heartland, Jurong East MRT, Kallang Wave and ITE central outlet. 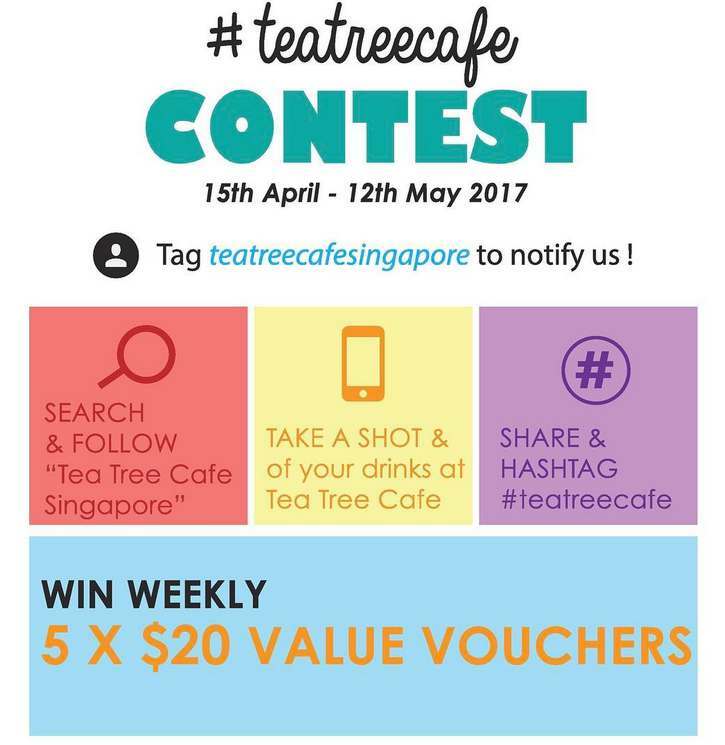 Find out more at Tea Tree Cafe Singapore.